Speckled trout fishing should be outstanding in May. It has been unseasonably warm and bait will be scattered all throughout the bay. The flats near Big Pass will be productive. Casting Bass Assassin 4” Sea Shad baits on ¼ ounce jig heads in front of a drifting boat will produce a lot of speckled trout. A live shrimp under a noisy cork is a deadly technique for catching trout. Pinfish, grunts, and pilchards will produce less fish, but generally larger ones. The shallow flats will be very active as they flood with bait. A low, incoming tide is the best time to search for reds and snook in the skinny water. Fish will stage in holes and deeper water then move up onto the shallow flats as the tide floods. Scented soft plastics, weedless gold spoons, topwater plugs, and live bait are all effective. Lures work best when looking for fish, water can be covered quickly. 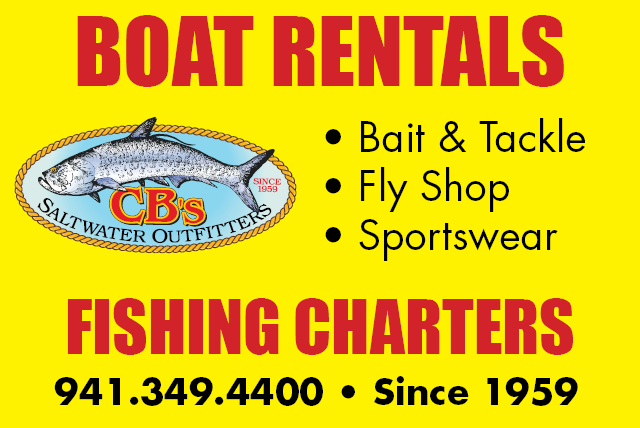 Live bait is best once the fish are located. Some of the largest trout will also be found in shallow water. Snook will be moving out to the beaches and will be scattered out all over. Mangrove points and bars near the passes should hold snook, as will structure in both Big Pass and New Pass. Outgoing tides are preferred, but as long as the water is moving, fish can be caught. Plugs are great baits that cover a lot of water quickly and are great fun to fish. Jigs and other soft plastics work well, too. Anglers who are proficient with a cast net will load up the well with pilchards and catch a lot of fish. 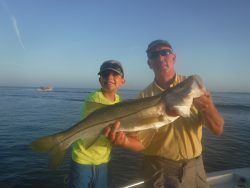 Surf fishing should be excellent and by the end of May there will be decent numbers of snook in the surf line. Small white jigs and flies work well on snook, as does live bait fish. Silver spoons cast out and retrieved in quickly will fool mackerel and ladyfish. Live shrimp will fool a variety of species. By the middle of the month, many guides and recreational anglers will be focusing on one of the most exciting angling challenges found anywhere, light tackle casting to giant tarpon! This is truly world class big game fishing. Tarpon that migrate up our coasts are large fish that average 80 pounds, but reach over 200 pounds. 25-30 lb spinning tackle and 12 weight fly rods are used most often. A live crab is the preferred bait, but live pinfish and other bait fish work well, too. These baits are fairly light and spinning tackle works best to cast and present baits.